Occupied Palestine, 22 December 2010 – We, the undersigned Palestinian civil society organizations, including farmers’ unions, agricultural organizations and popular committees, reiterate the call of the Palestinian BDS National Committee (BNC) for a full boycott of Carmel-Agrexco due to its complicity in marketing products of Israel’s illegal colonial settlements and in other Israeli violations of international law and human rights. Standing united with the Coalition Against Carmel-Agrexco in France and across Europe, we express our strong support for the legal action against Carmel-Agrexco taken by French civil society organizations before the Commercial Court of Creteil. Carmel Agrexco, the partially state owned Israeli exporter is in violation of international law. Agrexco markets 60-70% of the agricultural produce grown in Israel’s illegal settlements in the occupied Palestinian territory [i] and plays a key role in the development of industrial scale Israeli agri-business. It profits from Israel’s illegal colonial settlements and the theft of Palestinian land and water resources in the occupied Palestinian territory (OPT) in violation of the IV Geneva Convention and provides an economic incentive for the continuation of Israel’s unlawful regime of occupation, apartheid and colonialism over the Palestinian people. Within the legal and ethical framework of corporate responsibility a company bears the responsibility for all its commercial undertakings that may violate human rights, labour and environmental standards. 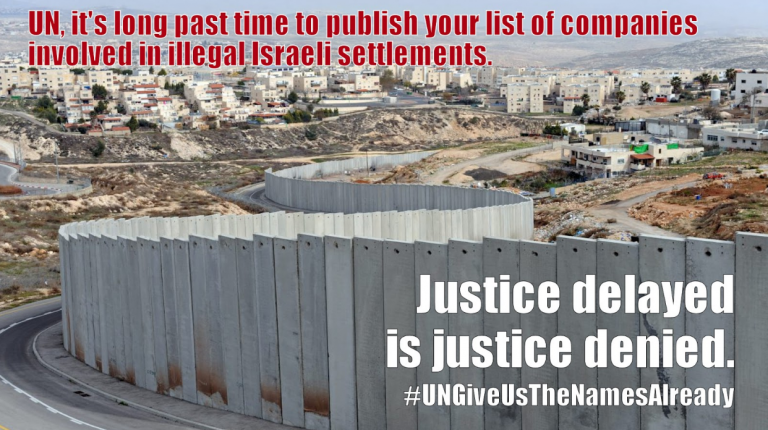 We moreover wish to emphasize that renowned international law experts as well as the International Court of Justice in its 2004 ruling on Israel’s illegal Wall in the OPT have affirmed that states have a legal obligation to discourage business relations which contribute to the maintenance of the illegal situation created by Israel. This includes business with Carmel Agrexco. 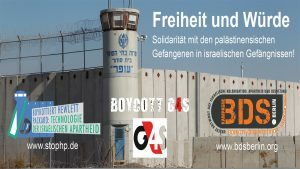 We have recently become aware of attempts by the Israel lobby in France to counter efforts for bringing Agrexco into compliance with international law by the Coalition Against Carmel-Agrexco in France, claiming that a boycott of Agrexco would hurt Palestinian strawberry exports from Gaza. At a time when Israel is systematically destroying Palestinian agriculture, uprooting hundreds of thousands of fruitful trees, bulldozing massive farm areas, and denying Palestinians access to our water resources [v], no one should be deceived by such blatant Israeli propaganda efforts. Through its ongoing criminal siege of Gaza and its war of aggression against it, Israel has destroyed farmlands, water treatment plants, and sewage facilities, causing unprecedented levels of pollution, poverty and health crises in the occupied Gaza Strip. Under the severe conditions of Israel’s illegal blockade which have brought Gaza imports and exports to a near halt, Agrexco has exploited its close relationship with the Israeli occupation authorities in order to secure a monopoly-like status in the export of Palestinian produce from Gaza, whenever a trickle of Palestinian products is granted to pass the blockade, often for Israeli public relations purposes. In the previous season, for instance, only a few tons of strawberries were allowed out of Gaza. While this season may see a larger quota of exports, the total number of Palestinian farmers involved is less than one thousand. Experts also predict that many of those can switch to producing items that are needed in the local Gaza market, if denied gateways to export strawberries and flowers. All claims that Agrexco operations benefit Palestinian farmers are no more than a fig leaf to cover up its complicity in Israel’s violations of international law and the rights of the Palestinian people. Lifting the blockade on Gaza, and ending Israel’s occupation, colonization and apartheid, are the most guaranteed and sustainable formula that will allow our farmers to produce and export freely, without being coerced into relying on companies that are complicit in oppressing and dispossessing them. Instead, we call for intensifying pressure against Agrexco through a systematic and full boycott of all of Agrexco’s products and services. The Israel lobby’s campaign on behalf of Agrexco should be seen as yet another desperate attempt by Israel and its well-oiled lobby groups to counter the fast growing BDS campaign by portraying boycott as ‘counter-productive’ and ‘hurtful of Palestinians’. Other than its falsehood, this is a patronizing argument that we reject. The BDS call has been endorsed by more than 170 Palestinian political parties, unions, NGOs, networks, agricultural groups, that represent the entire spectrum of Palestinian civil society: under occupation in the West Bank and Gaza, in Israel, and in exile. Furthermore, a full boycott of Agrexco has been endorsed by the entirety of Palestinian agricultural and farmers’ unions and committees. While deeply cognizant of the price our farmers may pay as a result of a full boycott of Carmel Agrexco, we see BDS as the most effective means of solidarity to bring about an end to Israel’s various forms of oppression that are preventing our farmers and entire people from enjoying freedom and human rights. As those directly affected by the unlawful practices of Carmel Agrexco, we call upon the French justice system to act for justice, uphold domestic and international law, and ensure that those responsible for actively contributing to Israel’s abuses of the human rights of the Palestinian people are held accountable.